We are Julia and Tony Bentley and we are the proud owners of a small gallery in Clitheroe, Lancashire. The Keep showcases both Tony's work and the work of other artists and makers in the region and beyond. 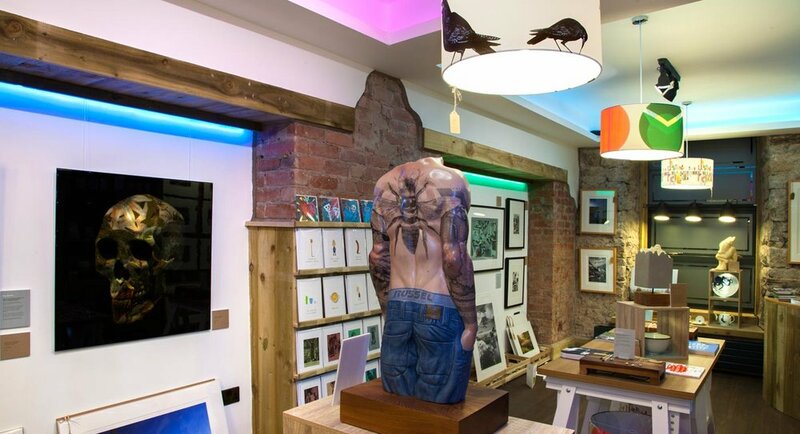 We love looking at beautiful art but have sometimes felt a bit intimidated by the more traditional galleries, so we wanted to create a more relaxed and less formal space in which to browse contemporary artworks and design-led unique homewares alongside handmade jewellery, stylish books and even artist-made greetings cards. It's a small but beautiful space with great tunes, nice lighting and an atmosphere that's chilled, not frosty.